Madagascar is an island located in the Indian Ocean, 250 miles off the Southeastern coast of Africa, across the Mozambique Channel at the southern part of the equator; over 1000 miles (1580 km) long and 350 miles (570 km) wide. It is considered part of the African continent, though it is many miles away from the rest of the continent. Madagascar came into being about 88 million years ago when it broke off from India. It is regarded as the fourth largest island in the world. Its most prominent feature would have to be the steep mountain range paralleling the entire eastern coast. 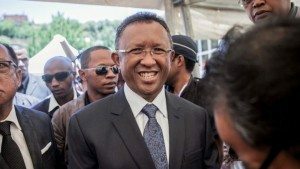 Even as Madagascar is not one of among the top 20 largest countries in Africa by land mass, it is the 16th most populous country on the continent. As indicated by the data released in 2016, the population of Madagascar is 25 million. As far back as the 1900s, the country only had 2.2 million people. Each year, the population grows by approximately 2.9%. Most people of Madagascar as suggested by their looks are said to have migrated to the area from Indonesia and Malaya. Initial human settlement of Madagascar occurred between 350 BC and AD 550 by Austronesian people from Borneo. These were joined around AD 1000 by Bantu migrants crossing the Mozambique Channel from East Africa. The Malagasy is the ethnic group that forms nearly the entire population of Madagascar, and it is divided into eighteen sub-ethnic groups. They are of mixed Malayo-Indonesian and African-Arab ancestry. Hery Rajaonarimampianina, President of Madagascar. The backpackers and seasoned travelers who make their way here usually aren’t surprised by 40-hour bus rides over potholed roads and hotels that double as brothels. Poverty is rampant, as in 2012, the population of Madagascar was estimated at just over 22 million, 90 percent of whom live on less than two dollars per day. Meanwhile, the landscape is one of the contrasts: nature reserves with dazzling wildlife (including 3,000 butterfly species, the famous lemurs, and some of the world’s rarest birds) sandwiched between vast areas ravaged by logging and slash-and-burn agriculture. Madagascar Island is where travelers seeking exotic wildlife in a remote tropical setting should give a thought as over 90 percent of its wildlife is found nowhere else on Earth. However, the island’s diverse ecosystems and unique wildlife are currently being threatened by the encroachment of the rapidly growing human population and other negative environmental factors. As you might expect, you’ll find great hiking (and mountain biking), white sand beaches (though sharks can be a problem) and classic coral reefs for divers. The Island has several street markets, botanical gardens, a zoo, and museum. There’s even a resort island (Nosy Be) with restaurants and nightspots, but that’s probably not what will bring you here. What will draw you is an interest in Malagasy culture (the music has topped world charts) and a desire to walk into the rainforest on a misty dawn to hear the eerie, wailing calls from troops of indri lemurs. The major languages in the country are Malagasy and French, which are the country’s official languages. The religious practice in the Island is rather very interesting. This is most especially as while in other parts of the world it is Christianity and Islam that dominate, but here it is completely different. As much as 50% of people in the country are still into Honoring Zanahary and Family Ancestors. Just as in most other religions, there is the link between the living and the dead. The second largest religion in the country is the Protestant Christians that takes 25% of the population. This is followed by Catholics and other orthodox religions which take 16%. Islam in the country is made of 7%, while others amount to the 2% remaining. It was in 1958, that the present flag of the country was chosen to replace that of the French. The flag has two colors; red and green which stand for the country’s yearn for independence from the colonialists and a representation of their traditions. There is also a white band which stands for purity. The capital of Madagascar is Antananarivo which also doubles as the largest city in the island. Also known as the Tananarive, this city has remained the capital since when the country was a kingdom, and it was founded sometime around 1610 to 1625. The capital has a population of over 1.6 million people. Madagascar is the fourth largest island in the world after Greenland, New Guinea, and Borneo. 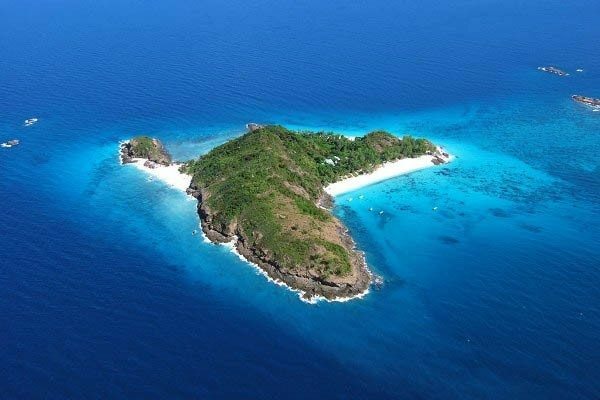 Although it is considered to be a part of Africa, the island is alone far from all others. Most wildlife in the island is not found anywhere else in the world. In the earlier times, Madagascar was ruled by women.The last sovereign ruler was Queen Ranavalona III before the kingdom was taken over by the French. The island country used to be a part of India before it later broke apart. Despite its rich culture and rare attractions, Madagascar is not listed among the happiest countries of the world.